President Donald Trump has nominated Brett Kavanaugh to replace retiring Supreme Court Justice Anthony Kennedy. His choice solidifies a conservative majority on the nation’s nine-member highest court. Oral arguments are rare, and the justices deliberate in private, considering written arguments. The courts generally have more members than the U.S. Supreme Court — 12 to 20 judges — but they also often operate in smaller panels. In the U.S., by contrast, the president picks a Supreme Court nominee — in this case, Judge Kavanaugh, a conservative mainstay on the D.C. Circuit Court of Appeals. He must now be confirmed by a simple majority — 50 percent, plus one vote — in the Senate. Conservative Americans can feel confident that their interests on abortion, civil rights and the role of religion in society are well reflected on the Supreme Court. Liberal and moderate Americans — who make up about 60 percent of the U.S. population — cannot. A one-sided court majority also increases the risk of ill-advised legal decisions. Numerous studies on decision-making find that groups make better decisions when they take into account diverse perspectives. 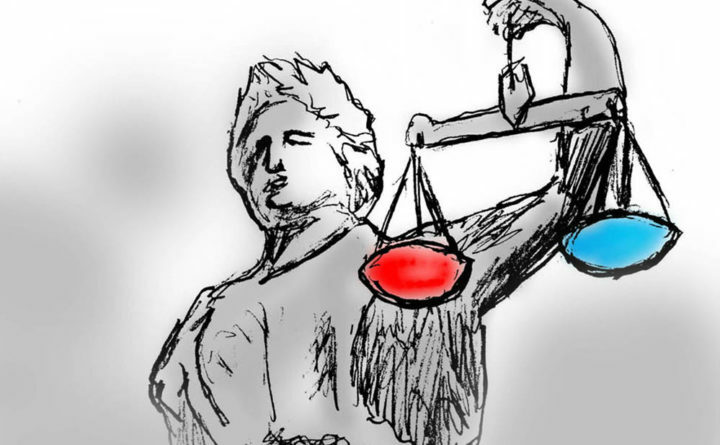 Can the U.S. depoliticize its courts? David Orentlicher is a professor of law and co-director of the health law program at the University of Nevada at Las Vegas. This piece was originally published on TheConversation.com.